Taftsville is a tiny area in Woodstock Vermont, founded in 1793 with a sawmill and metal tool shop. Today it’s a popular historic district, famous for a covered bridge built in 1836. 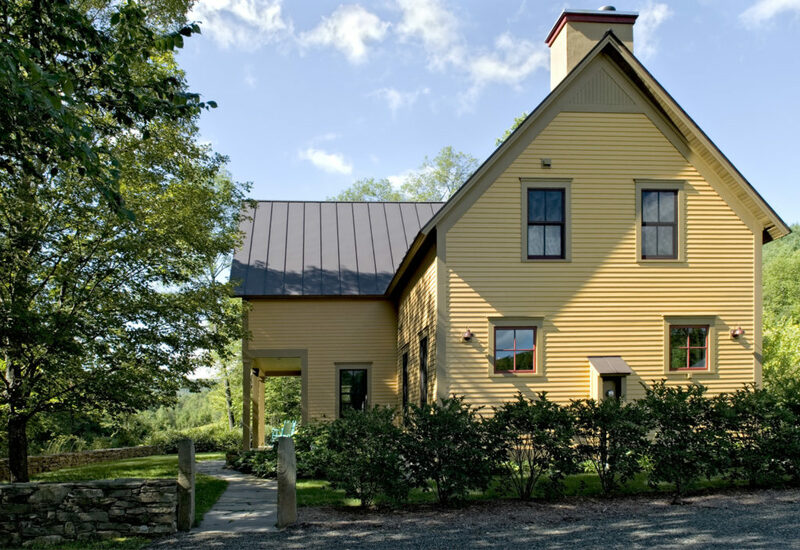 Taftsville is also site of this new modern farmhouse, built to replace the original decrepit house on the site. 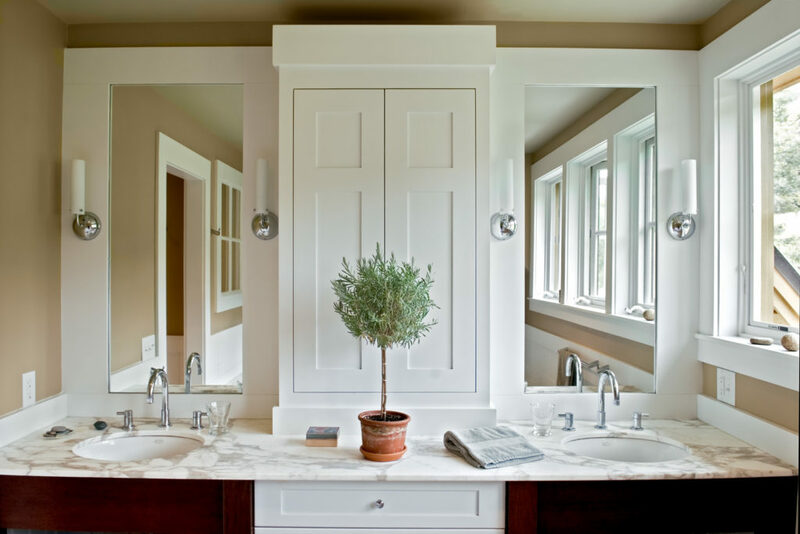 We’re used to seeing new farmhouse designs painted the obligatory white, but the ocres and olives of this modern farmhouse are authentically 19th century. Look closely to see the brick red of the window frames and sashes. 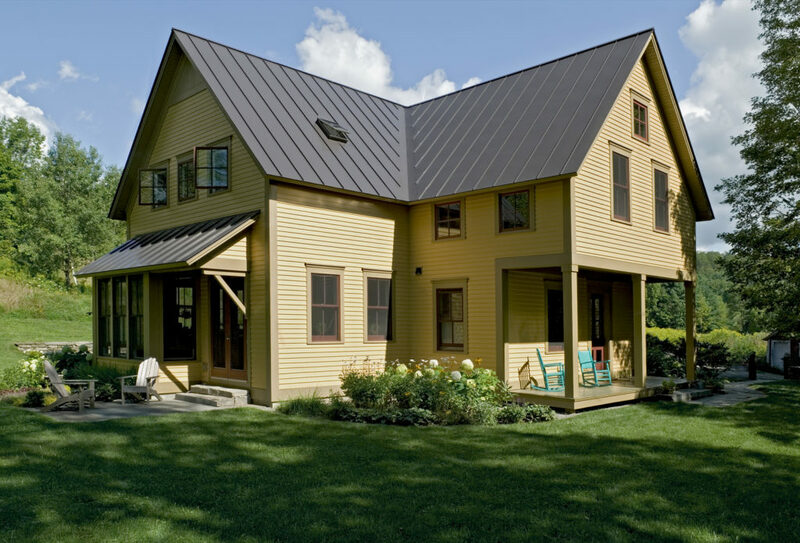 The “old penny” finish of the metal roofing is a reference to the rusty roofs of farm buildings. And the electric meter has a little “dog house” all its own! 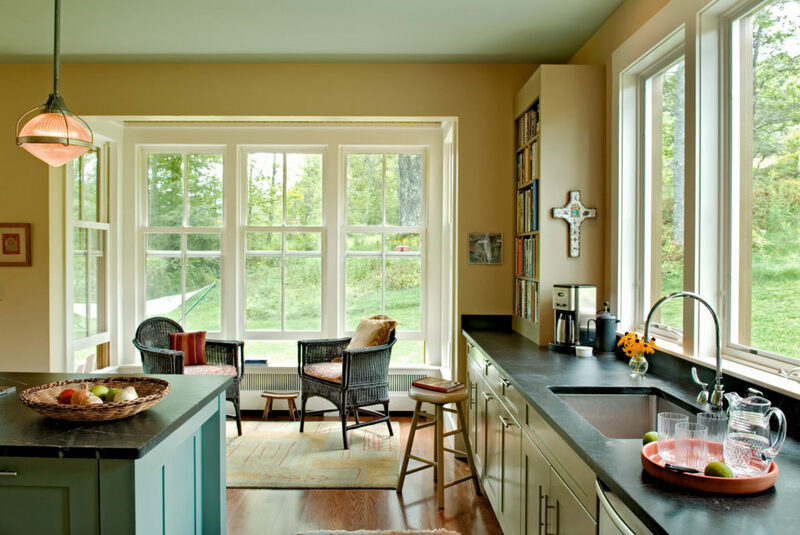 A classic big, open modern farmhouse kitchen includes a cozy seating nook, surrounded on three sides by tall double-hung windows. 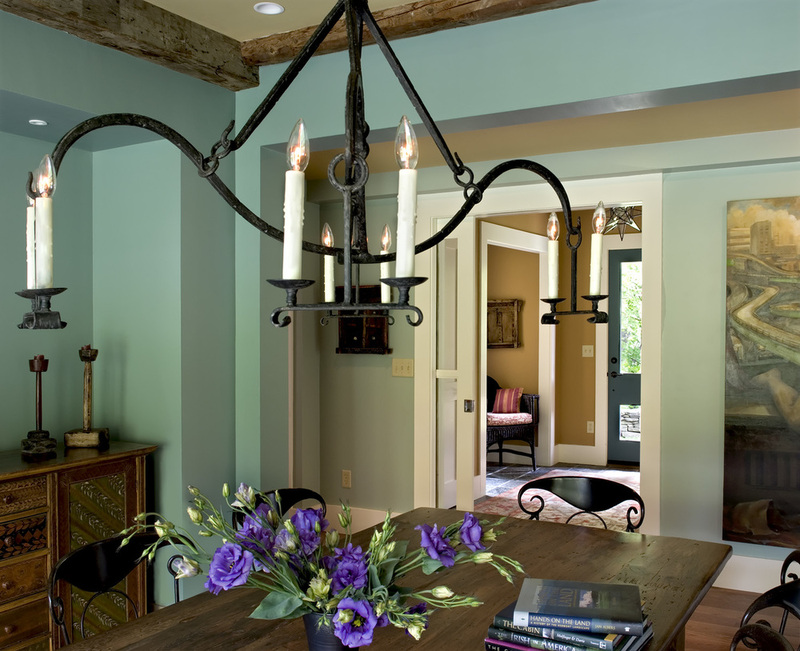 In the dining room, richly colored walls and ceilings echo the exterior palette, and rough-hewn beams add texture and a tie to the history of the town. 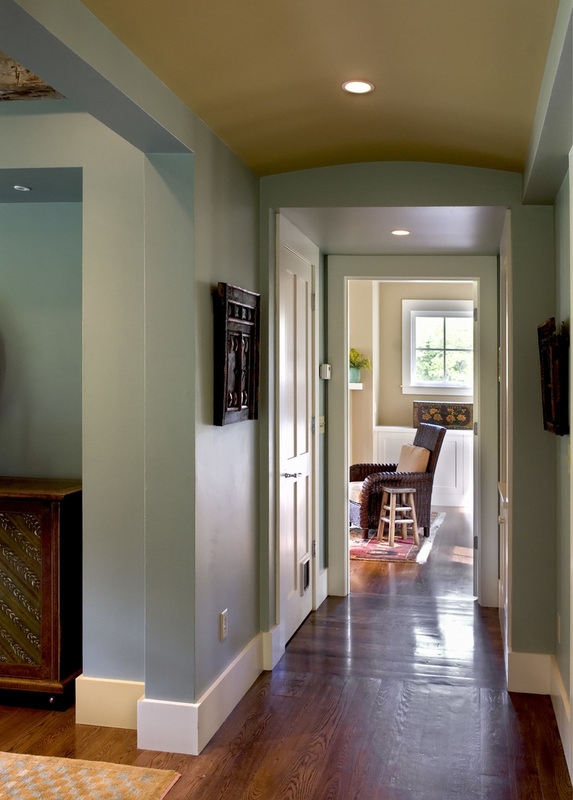 A simple hallway is made into something special by a shallow barrel-vaulted ceiling. 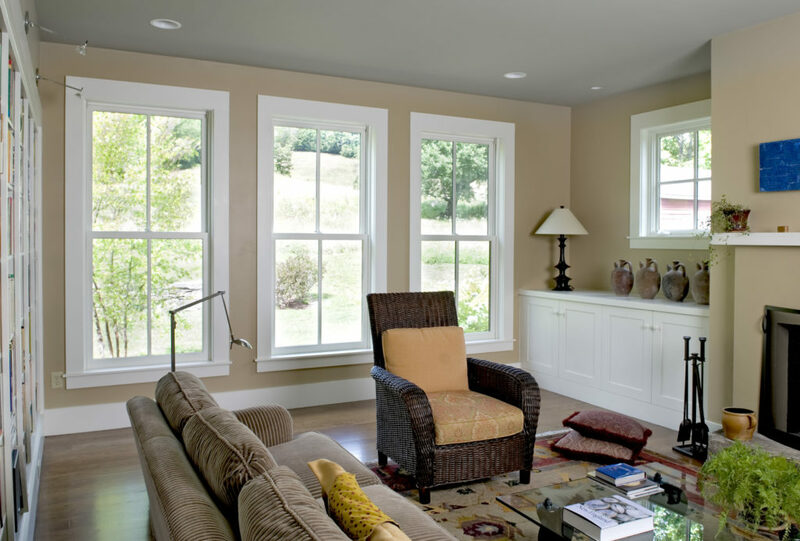 This view on the second floor is our favorite. Just the simple design acts of aligning the doorways with a vase of pretty flowers as the focal point changes something strictly functional into something beautiful. 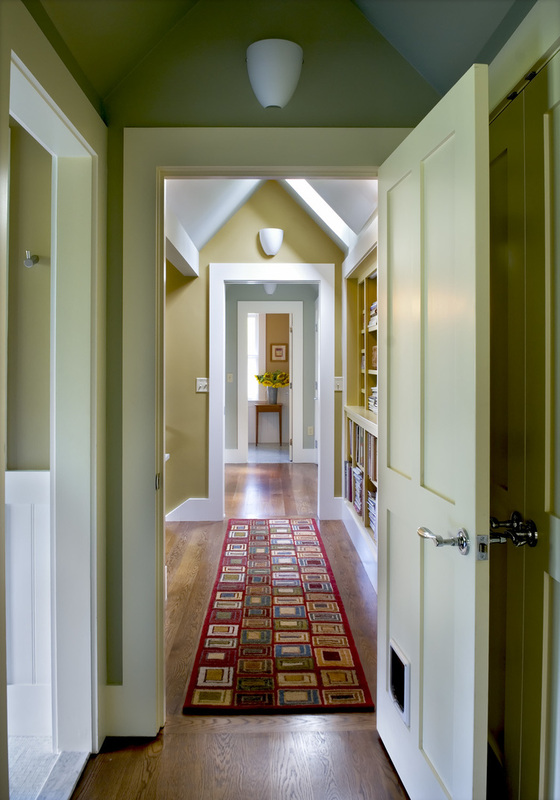 This is also a great example of space-saving – the hallway at the top of the stair also holds a bookcase. 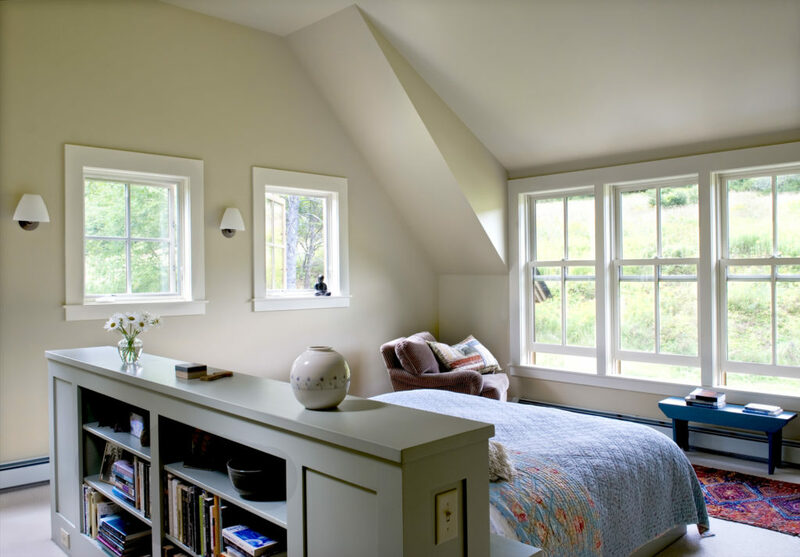 Speaking of bookcases, using one as a headboard in the master bedroom is one of my favorite design features. 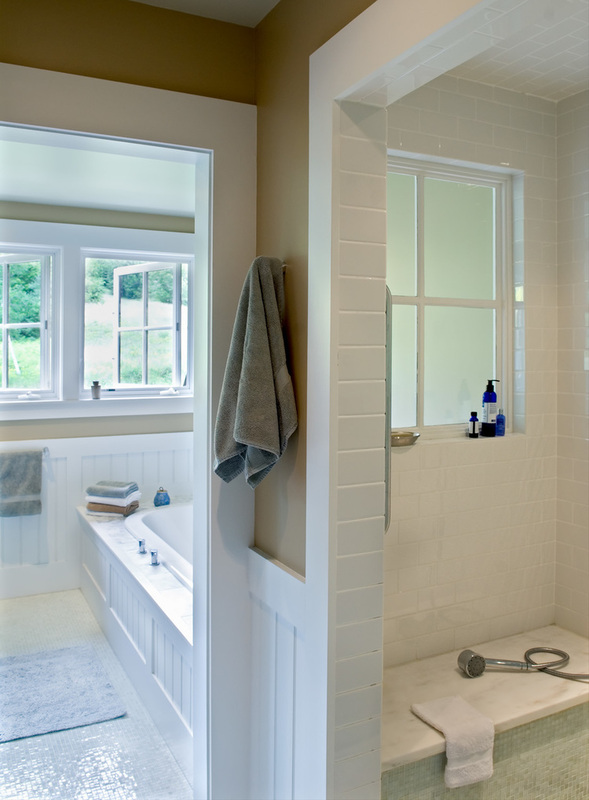 Another neat trick is “borrowed light” – in this case, a frosted glass window between the tub and shower. 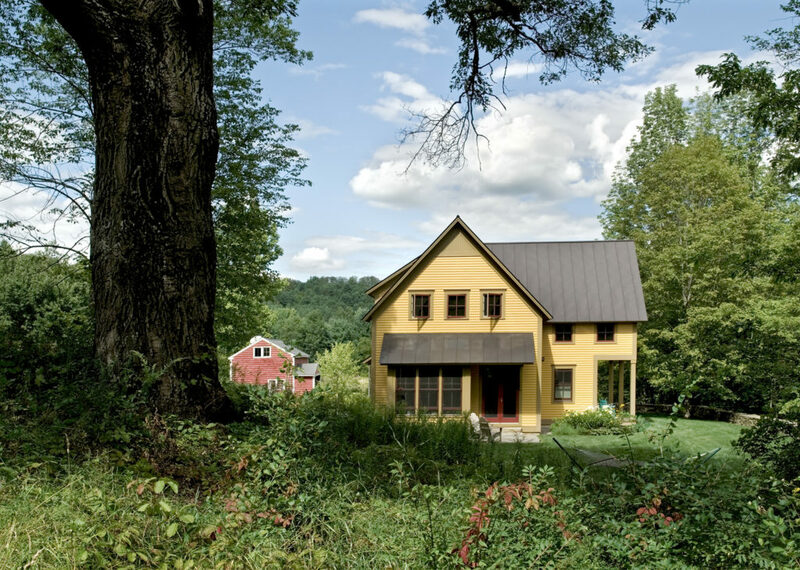 This house makes a lot out of a modest farmhouse shape, taking cues from the history of the area around it, and using clever details to make the most of everyday living.